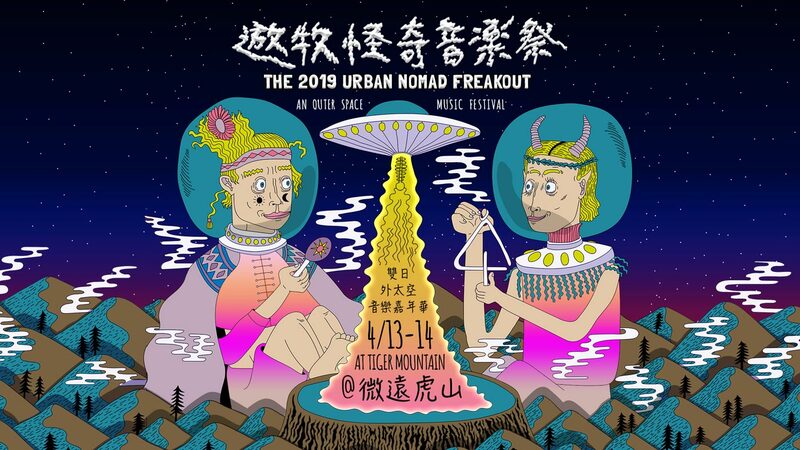 Back for the fifth straight year, Urban Nomad’s two-day music festival, the Urban Nomad Freakout, will bring its carnival of fun and weirdness back to Taipei’s Tiger Mountain on April 13-14, 2019. Headliners include Japan’s piano post-rockers Mouse on the Keys, fresh off North American tours and releases of a new album and EP, and the female duo METALCHICKS, featuring guitarist suGar Yoshinaga (Buffalo Daughter) and drummer Yuka Yoshimura (OOIOO, DMBQ). Canadian recording artist Buckman Coe will bring his soulful R&B and rootsy world rhythms. Check out recent releases from these three artists below! The festival will feature over 30 bands and DJs on 3 stages, including a special Circus Stage with aerial acrobats, fire spinners, pole dancers, jugglers and a lot of surprises. Other performers in the initial lineup include Taiwanese psychedelic garage band CROCODELIA, performance artist and techno DJ Betty Apple, who’ll combine her DJ set with a live Sexbot performance (feat. makeup by Nymphia Wind 妮飛雅瘋). DJ Marcus Aurelius will bring the Taiwan Twerk Team, and Balkan rockers Balkzar will bring world beats. (Z)erpents is a 2-man project headed by Paul Lai, formerly of LA prog rock band Upsilon Acrux. DJs James Ho (Night Circus) and Cross Cutz (Triangle) will also bring the fun!